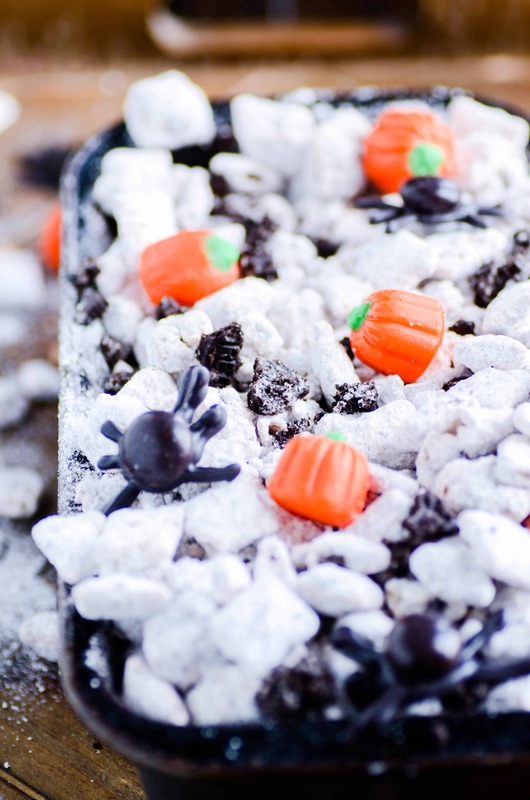 These Oreo-packed muddy buddies get a seasonal twist with pumpkin spice morsels! I don’t know if you’ve sensed this about me, but I have been chomping at the bit to get Halloween-y! I’ve been trying to stay seasonally appropriate and focus more on football themed treats or even just generic Fall flavors. But the truth is that I am DYING to start posting Halloween this year! Which is funny, because I’ve never been much of a Halloween person before. But for some reason, my brain keeps swirling around delicious ideas centered on mummies and ghosts and jack-o-lanterns. Which must be why I took an old non-Halloween recipe from a few years ago and gave it a facelift involving spiders and candy pumpkins. ???? 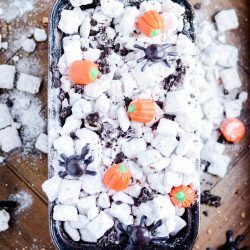 Actually, the real reason I’m re-posting these pumpkin spiced muddy buddies is because I wanted to reconfigure the recipe a little bit. And while I was working on that, I figured new pictures were in order. The original recipe I posted 4 years ago (how has it already been that long???) 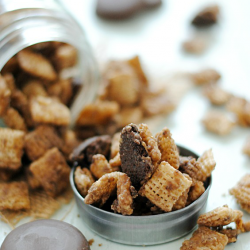 used Pumpkin Hershey Kisses melted down and coating the Chex cereal and crumbled Oreos. While I still love the flavor of Pumpkin Hershey Kisses, I felt like this recipe could be improved by switching them out for Nestle’s Pumpkin Morsels (they look like chocolate chips, only orange!). Mostly because it’s just so much easier to pour out a bag of morsels than it is to individually unwrap all of those Hershey Kisses! I also decided to crumble the Oreos, instead of leaving large chunks of cookies. Not a major change, but I did end up liking it better that way. 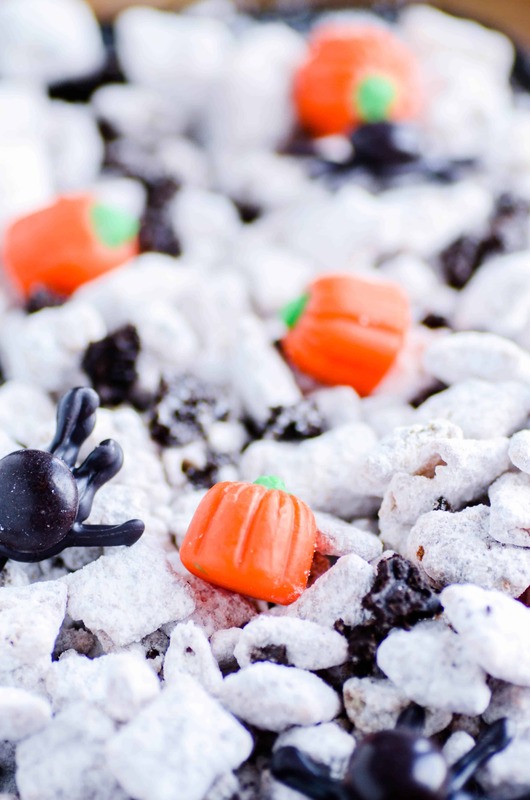 The black widow spiders and candy pumpkins are totally optional. But I was craving Halloween, so they happened. ???? In a large microwave-safe bowl, melt the pumpkin morsels in the microwave (60-90 seconds) until smooth. Add the cereal and the crumbled Oreos. Gently stir with a rubber spatula to coat everything in the candy coating. Spoon mixture into a gallon-sized zip bag. Add the powdered sugar. Seal and shake until cereal mixture is coated. Ohmygosh how addicting!!! is this stuff! I already have a major weakness for it. But with the melted pumpkin spice Kisses, mmm, so good! Oh I love pumpkin spice hershey kisses, this would be the best way to use them! I am in love with these kisses also!!! I just bought a bag yesterday. I want to gobble this muddy buddy all up! 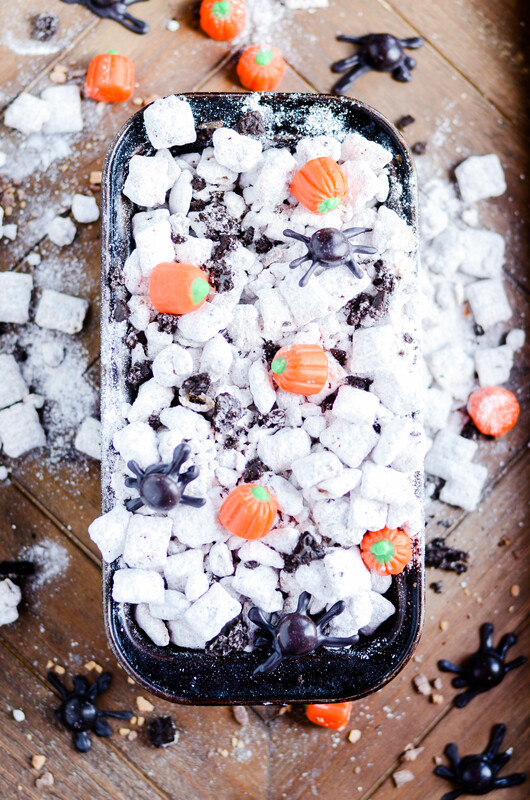 Nothing better than a good muddy buddies recipe! I have a strong feeling I wouldn’t be able to control myself around this. 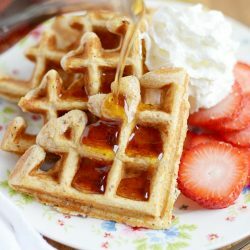 Looks DELICIOUS!! I’m also a little wary of the pumpkin spice Hershey’s. I’ve never been daring enough to try them, but I just might have to now! 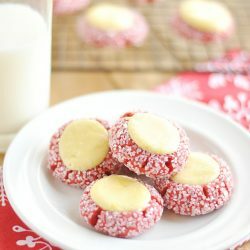 Love trying new muddy buddy recipes. This one looks AMAZING! What an amazing combination! I’ll be giving it a try for sure! Just made these and they are wonderful! You won’t be disappointed, followed the directions exactly. Will be making them for the office. The pumpkin spice kisses mixed with the Oreos is fantastic. I can not find these kind of Hershey kisses in my local Wal Mart—what else can I use??? Thanks!!! Plan on making this for my daughter’s classroom Halloween party!!! You could try using white melting chocolate with pumpkin flavored pudding mix– about 1 teaspoon for 1/2 cup of melting chocolate. I have never heard of pumpkin spice kisses, but will definitely be looking for them the next time I go to the store. This recipe looks yummy! Can’t wait to try!